In Sipping from the Cup of Wisdom: Exploring Diverse Paths of Research, renowned scholar James L. Crenshaw updates the history of research on wisdom literature found in his Prolegomenon to Studies in Ancient Israelite Wisdom (1976). His introduction addresses the social setting of the sages, the personification of Wisdom, mythical images of creation, and wisdom and apocalyptic. In the next five chapters, he describes major trends of interpretation on each wisdom book: Proverbs, Job, Qoheleth (Ecclesiastes), Sirach, and Wisdom of Solomon. The sixth chapter explores recent attempts to define the wisdom corpus. James L. Crenshaw, the Robert L. Flowers Emeritus Professor of Old Testament at Duke University, was a Guggenheim Fellow in 1984–1985 and in 2006–2007 the Joseph McCarthy Visiting Professor at the Pontifical Biblical Institute in Rome. Before moving to Duke in 1987, he taught five years at Mercer and nineteen years at Vanderbilt. He is the series editor of Personalities of the Old Testament (University of South Carolina Press) and lives in Nashville. His most recent books are Dust and Ashes: Poems, Reading Job: A Literary and Theological Commentary, and Qoheleth: The Ironic Wink. Crenshaw’s two-volume work is a compelling testimony to the generative fervor of wisdom study today. It is a must-read for all students of wisdom, one that invites both appreciative and critical engagement. James Crenshaw, without a doubt, has been the leading scholar of his generation concerning the wisdom traditions of Israel. These volumes present a summation of his lifetime of good work. Crenshaw shows that the biblical tradition is open to a broad cultural reading, truth claims given in a compelling manner. This is a most welcome volume. 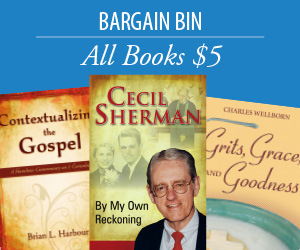 James Crenshaw has been a leading voice in the study of wisdom literature for several decades. His knowledge of the texts and the scholarly literature about them is unparalleled. The present study comprises a culmination of his lifelong scholarly engagement with sapiential literature. 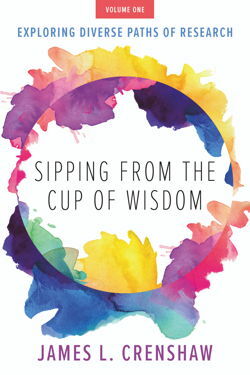 Sipping from the Cup of Wisdom is a “house of instruction” (Sir 51:23) that all who seek wisdom and understanding should visit, to learn from a master sage.